IC 1287 is a very faint reflection nebula in Scutum. This is my second guided image. 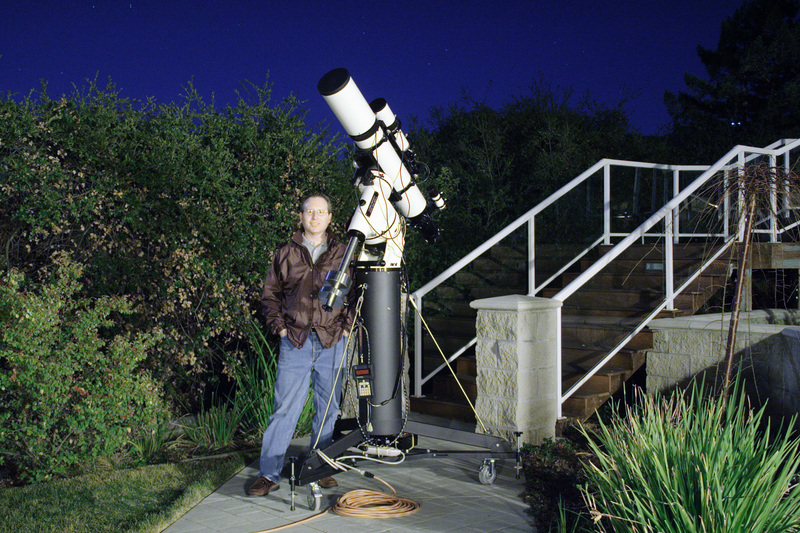 Thanks much to Jim Shuder for bringing his guiding apparatus over to my house for a fun evening of imaging. (See the comments in the B86 Image for details on the guiding infrastructure.) This is approximately 2/3's of the full frame, scaled for display on the web. North is up. It's interesting to compare this version with my original unguided version. 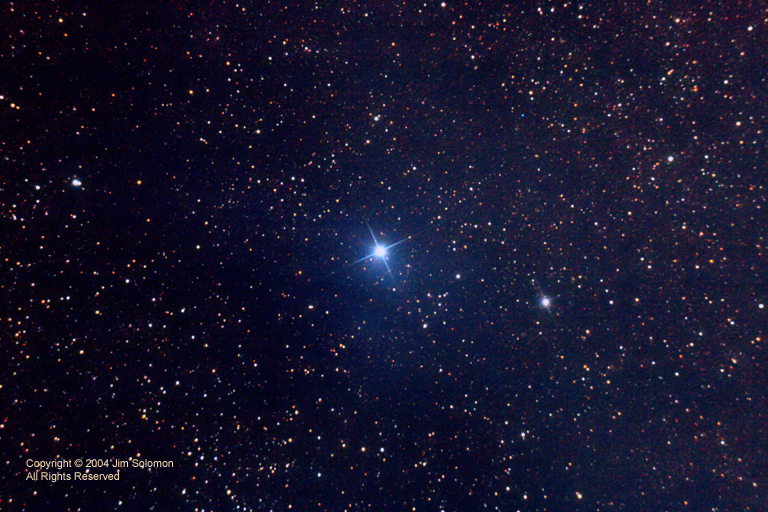 This one shows much tighter stars and much more of the faint, blue nebulosity. Now, to be fair, the guided version has twice the effective exposure length as the unguided version. But that was because nearly 2/3's of the unguided exposures were unuseable messes, due to smearing and poor tracking. Seen another way, in the unguided version I collected 60min of frames, of which only 20min were useable. In the guided version, Jim and I collected 40min of frames, of which all were useable. Bottom line: I'm convinced; I need to begin guiding.